As I was searching desperately for something to distract me from what I should be doing (study…specifically a literacy competency test) I found an old sheet in the back of the linen cupboard. This one sheet is all that remains of a set given to us as a wedding present 25 years ago. Obviously they were a good quality sheet as they survived dogs, kids and bush living for this long (well one of them did). Originally the sheet was jet black but over the years it has faded to a lovely charcoal grey. It is made from cotton and has developed a lovely soft feel and shows very little sign of wear. I decided it would make a lovely skirt. So I had found my distraction; make a skirt from this old sheet. 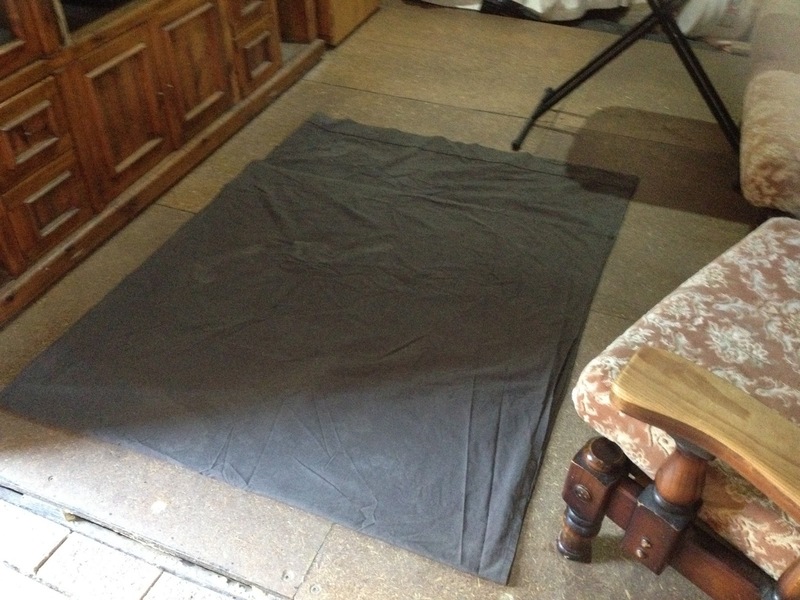 The sheet in the process of being laid out on the lounge room floor. 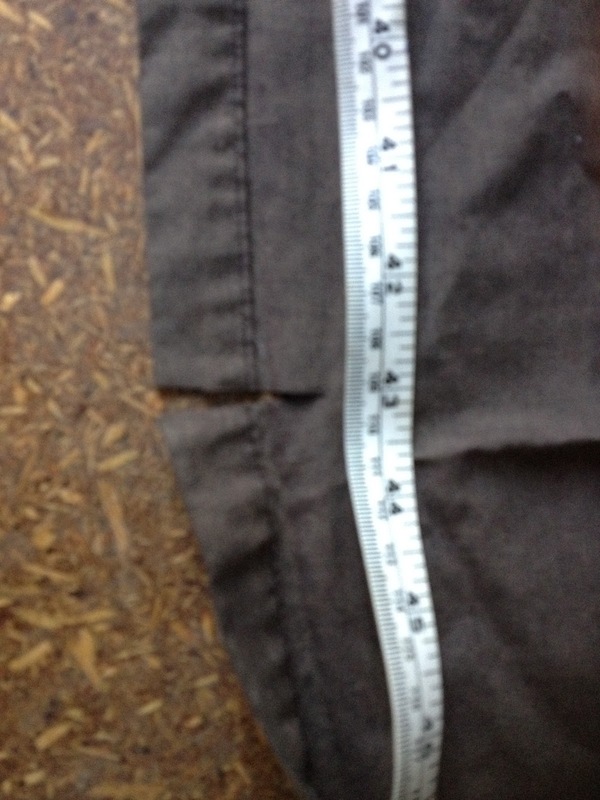 I measured 48 inches for the width of the skirt piece as instructed. Then I measured from my waist to my ankle to get the length measurement and cut the piece off there. At this point I decided it would be easier to sew the casing for the elastic before the side seam was sewn. So I swapped the instructions around. This turned out to be easy and quick, with less chance of sewing stray bits of fabric into your seams too (other messy sewers will know what I mean). I made sure the elastic would have enough room in the casing at the top of the skirt then pinned the casing right across. 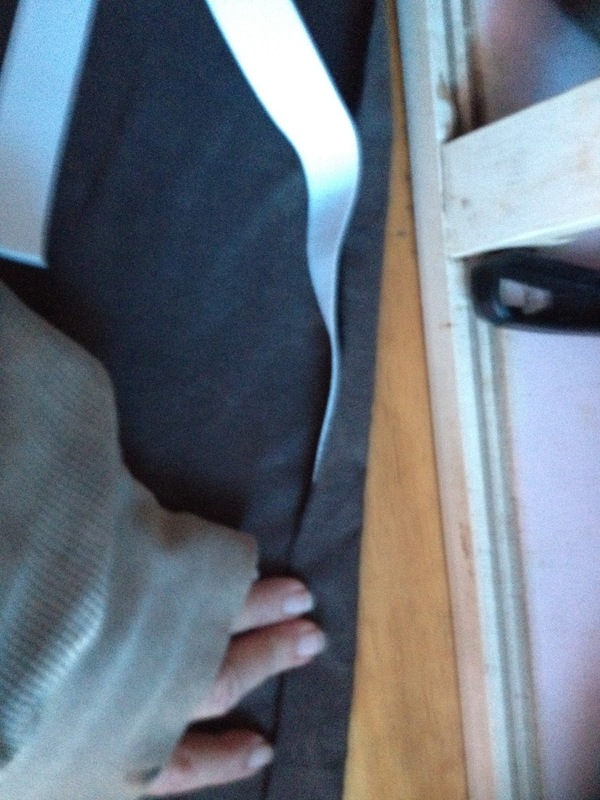 I then got treadling and sewed the elastic casing seam twice (to be sure, to be sure). I’m not sure why my phone decided to make this photo sepia, but it gets artistic ideas sometimes. 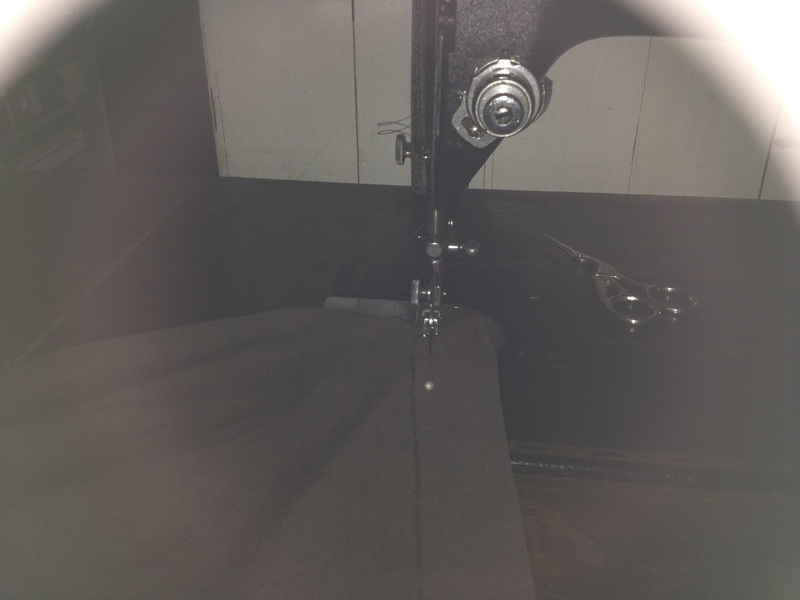 I have missed using Prudence the treadle machine while making underwear. I really must save up for a zigzag attachment for her. The side seam was sewn up quickly, also with a double seam (to help slow down any fraying) and the elastic was threaded through the casing. I used a side seam of the sheet as the bottom of my skirt so I didn’t have any hem to do, so this was a really quick and satisfying project. I’m wearing my new skirt (and a pair of my home made undies) as I type this and I’m feeling very proud of myself as sewing is not really one of my skills. 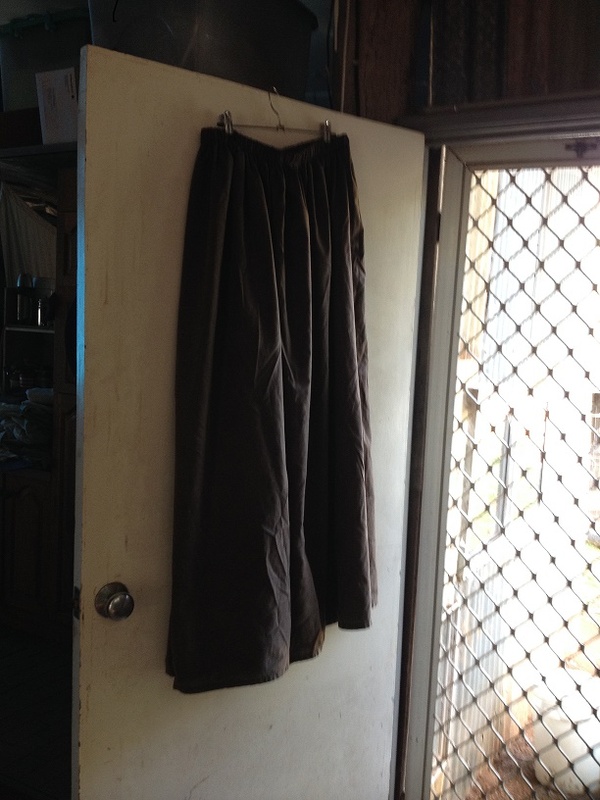 That’s one skirt down from my project, maybe next time I will make a circle skirt, or a double layered skirt.